Join the Million Mollusk March to put 1 million oysters in the bay to improve the water quality. 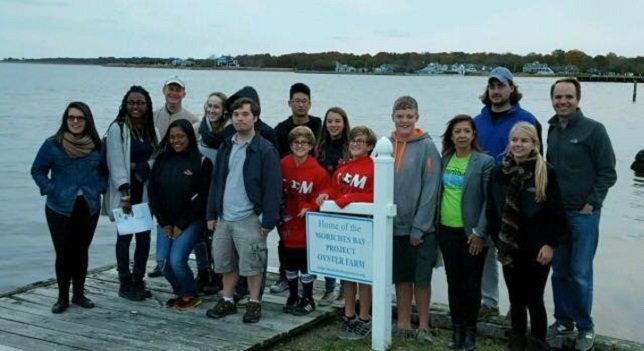 Pictured is Professor Dvarskas with his students visiting the oyster farm in 2015. The Moriches Bay Project is a grass roots project with a goal to improve the water quality of the local bays. Photo by: Moriches Bay Project, via Facebook. Moriches, NY - January 8, 2016 - Make 2016 the year to get involved in "Help Save the Bay." Join the Million Mollusk March to put 1 million oysters in the bay to improve the water quality. There's just 3 weeks left in the Million Mollusk March to "Help Save the Bay." 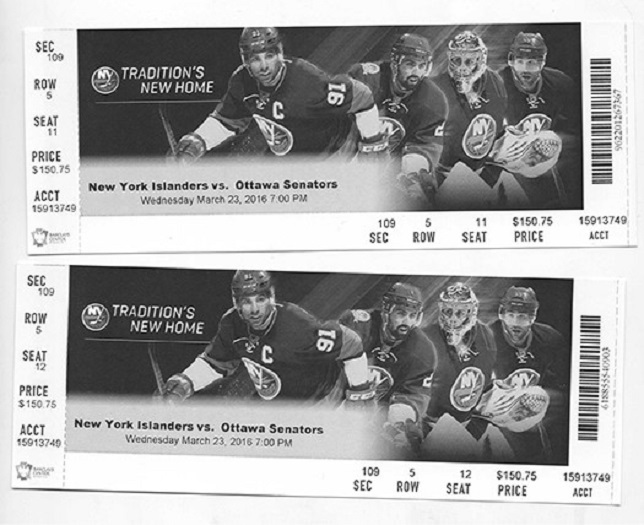 Be the first to donate $250 or more and win 2 tickest to a New York Islanders hockey game (New York Islands vs. Ottawa Senators, Wednesday March 23rd at 7 p.m. - each ticket is worth $150). So far the Moriches Bay Project has reached a little over 30% of the goal, so there's still a long was to go. Donating just $1 will help make a difference, and then tell 10 friends to donate just $1. To donate to the Million Mollusk March to Save the Bay, click here. Spread the word to help improve the water quality at Moriches Bay. The Moriches Bay Project relies on local support in order to continue work. Great Gifts Under $20 - Inexpensive DIY Gifts That Look Like a Million Bucks! Subject: LongIsland.com - Your Name sent you Article details of "Join in Moriches Bay Project's Million Mollusk March, Chance to Win NY Islander Hockey Game Tickets"